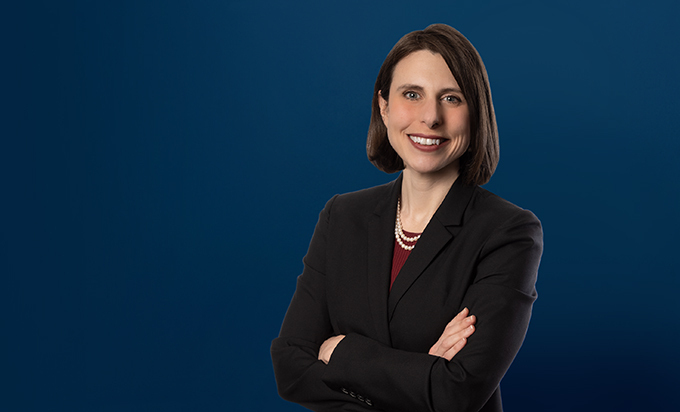 Caroline Giordano's practice involves a variety of commercial and governmental litigation in both state and federal courts. 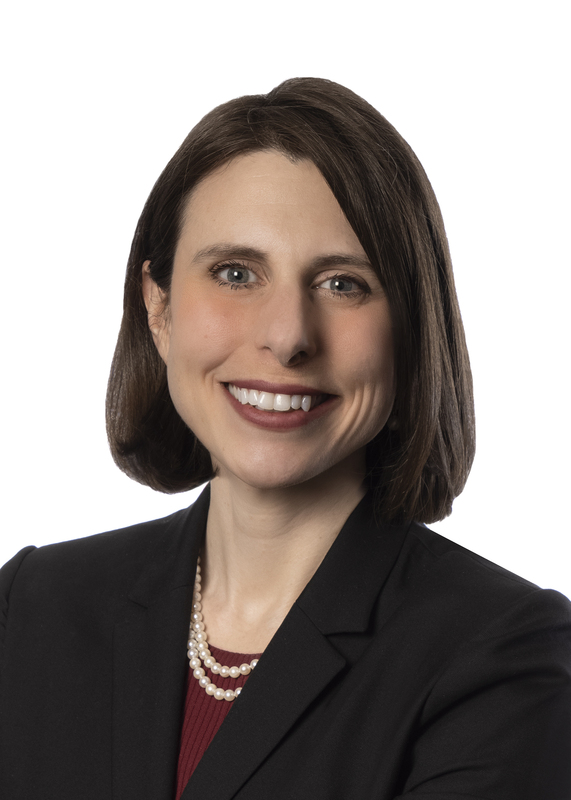 Since joining Miller Canfield, Caroline has been active in the firm's class action defense practice, and she has had extensive experience working on cases representing governmental clients at the trial and appellate level. Caroline has also worked on numerous matters involving business torts, contract disputes, non-compete and trade secret disputes, and copyright and trademark law. While in law school, Caroline served as a judicial intern for the Honorable Helene N. White, U.S. Court of Appeals for the Sixth Circuit, where she gained first-hand knowledge of appellate procedure. Before becoming a lawyer, Caroline obtained a Ph.D. in English Language and Literature, and taught undergraduate courses on persuasive writing and critical reading. Helped successfully defend the City of Detroit against purported class action claims seeking more than $150 million in drainage charge refunds by obtaining a ruling that the City's drainage charge is a valid user fee and not an unlawful tax under the Headlee Amendment. Helped defend numerous Michigan municipalities against constitutional challenges to municipal charges including storm water, sewer, and housing code inspection fees. Obtained summary disposition in putative class action challenging constitutionality of municipal water and sewer debt charges. Assisted in defense of municipality and law enforcement officer against federal excessive force and wrongful death claims. Worked on legal team successfully representing municipal client defending constitutional challenge to multiple municipal taxes. Assisted in defense of independent automotive industry manufacturer against misappropriation of trade secrets and tortious interference claims brought by former employer. Worked on team of lawyers representing Tier 1 automotive industry supplier in supplier's action for misappropriation of trade secrets against multiple former employees. Helped obtain summary judgment and discovery sanctions on behalf of beverage manufacturer in action for misappropriation of trade secrets and copyright and trademark infringement. Helped obtain favorable resolution of commercial client's lawsuit against former employee for improper use of employer's company funds. Assisted in representation of numerous municipalities against class action lawsuits challenging basis of municipalities' fees for regulatory services. Worked on team of lawyers representing commercial bank in consumer class actions challenging bank's overdraft fees. Assisted in representation of consumer banking institution defending class action claims for breach of customer contract. Helped obtain favorable resolution of contract disputes on behalf of construction industry clients. Drafted numerous appellate briefs defending municipal clients in constitutional class actions at both Michigan Court of Appeals and Michigan Supreme Court levels. Helped persuade Michigan Supreme Court and Michigan Court of Appeals to uphold trial court decision prohibiting plaintiff contractor’s non-conforming industrial use of property on behalf of municipal client. Obtained dismissal of adverse possession action against nonprofit environmental conservancy. Worked on team of attorneys representing client previously convicted of second-degree murder in retrial proceedings. "What to Expect From Michigan's Revised Uniform Arbitration Act" (Co-author Sonal Hope Mithani), State Bar of Michigan Litigation Newsletter, Summer 2013.